#Move4Edu is our way of giving back to some special people who have helped us become who we area and who are helping us grow and learn. 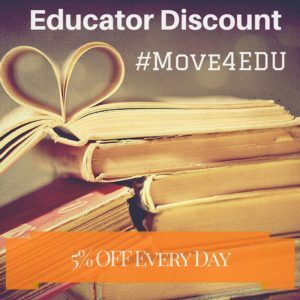 Monster Movers offers a 5% DISCOUNT OFF OF EVERY MOVE to any educators and teachers. You teach 7th grade? Swimming Coach? Daycare Provider? Cub Scout Parent? Leading a Robotics Club? We support all those who educate others – young and old. We celebrate you…every day! It’s actually really simple to access this 5% off coupon – just tweet @monstermovers or Facebook #move4edu and tell us your story with a few words or a picture and you will instantly get 5% off of your moving costs! Monster Movers also donates 1% of all income to educational charities including local non-profits, sponsoring educational pursuits and awarding funds to other educational endeavors. The #Move4Edu discount is good for all local moves and long distance movers! Most apartments in major cities have a lease date that end on the last day of the month. These same leases usually begin on the first day of the month. Essentially, you will literally have until midnight on the last day of the month to move your items out and then at 10am-2pm you can move to the new apartment. Moving companies in metro areas listed above usually book up completely on the first and last days of the month because of this. College towns will have issues on 8/31-9/1 and May 30-April 1. Residents that have bridge loans will also require moving and overnight storage. A bridge loan is when a resident is selling a house and using the cash from the sale to purchase a new house. This is very common and usually requires 1-2 days of overnight storage. Renting a Truck and Parking it Overnight – Unless you plan to sleep in or with your truck – this isn’t the best option. First off, the truck rental facility will charge you for two full days which can be $$$$. Also, they do not cover anything should your items be stolen, wet (if the truck leaks and it’s raining). 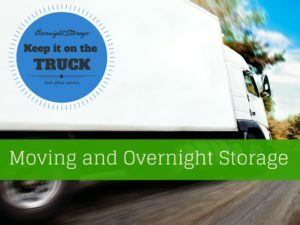 If you do decide to move and store your items in a rental truck – get a lock for the back – rental trucks in a driveway or parking lot overnight are sitting ducks. 2. 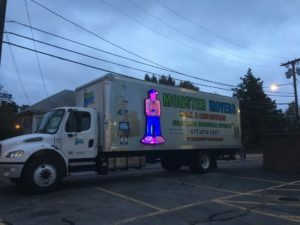 Hire a Moving Company to Move You with Overnight Storage – In the past, moving companies used to charge customers per hour to store there items in a truck overnight. Although it was a reduced weight while the moving crew wasn’t physically moving furniture – it was still not very economical. Since then, there have been private moving companies that offer on-board overnight storage – or overnight storage that stays on a truck. There is no need to hire a mover that will offload your items into a storage facility overnight. The expense can be twice as much as it should because the crew will be doing two moves. Monster Movers has locations in many major metro areas and charges $100-$150/night per 26 foot moving truck. Hiring a mover that will do this is much more economical than paying per hour or paying for two days of a rental truck. There are many different ways that moving companies estimate the cost of a move. The most accurate moving cost estimates are obtained by your moving company getting a 100% complete inventory of what you are moving. 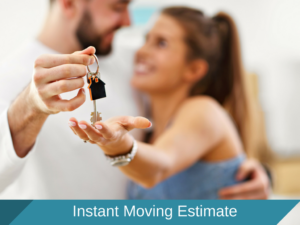 An on-site estimate – Essentially a moving cost estimator comes to your home to look at everything going, being packed, etc and will provide an accurate moving estimate for your move. On-site estimates are usually pretty accurate. However very, very time consuming. First, you have to take approximately 30-45 minutes out of your day multiplied by however many moving cost estimates you receive. This usually requires scheduling – if you have kids it cannot be during practice/dinner/etc. An accurate, online moving cost estimator – With current innovations in the moving industry, it is really easy to obtain an accurate moving cost estimate completely online and virtually instant. 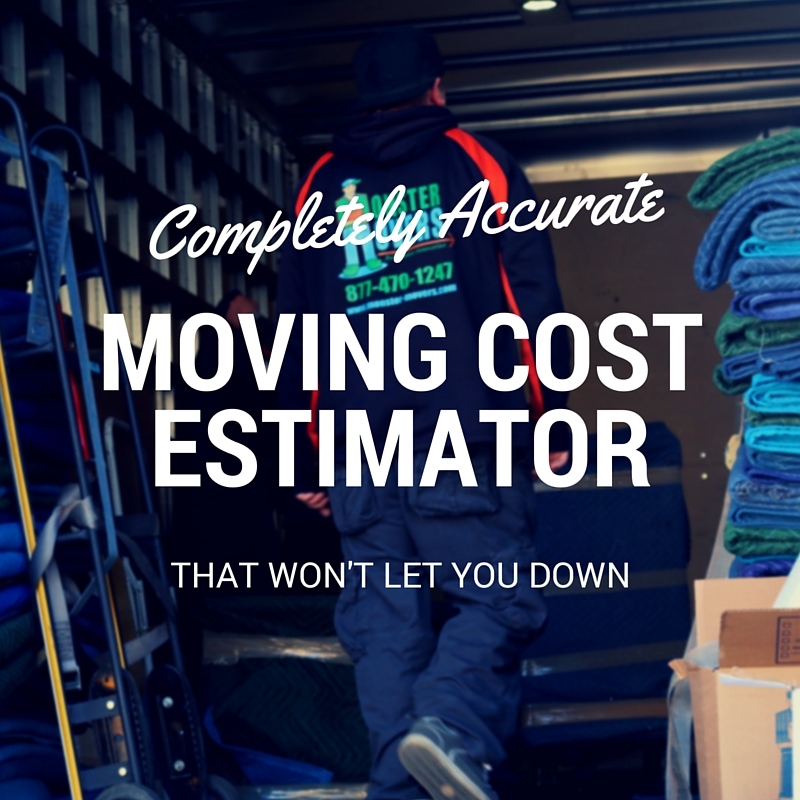 There are a multitude of sites that can provide this to you but none as accurate and quick as this moving cost estimator. Essentially, you fill out pertinent information ( don’t forget cities and/or zip codes) like email, where you are moving to and from, as well as any additional services you will need. Another, second form will pop up with the easiest moving cost estimation form you will find available. This secondary list is a comprehensive inventory list where you can add the items in your home. The list will be calculated with an advanced algorithm and will generate a completely accurate quote directly to your email. There are other online moving cost estimators but they are extremely difficult to navigate. Bonus: You can update your items list at any time for a new quote! A moving cost estimate app – There are a few moving apps out there that require a video of your home. The apps I have seen are not accurate unless moving a few large pieces. 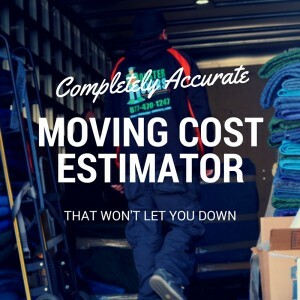 Some moving cost estimator apps are used as information gatherers so don’t be surprised if you have a bunch of moving companies call you after downloading the app. As an aside, if you feel like you cannot accurately go through your home and add your inventory to a moving cost estimation form, your local movers and long distance movers should always offer an on-site moving cost estimate. If they cannot or won’t, it’s not usually a good sign.